Isn't it? It seemed so easy when you were first thinking about starting your own business. Or, maybe you weren't thinking about marketing at all. You thought your idea was flawless. You were going to offer people ( your target audience ) a service or product that was so great, it just seemed impossible for you to have anything other than effortless success. So why are you here? What are you doing on a website about "marketing"? It doesn't seem as easy as it used to does it? If you have the outlook that SEO, marketing, and offering value to your prospects is nothing but an expense, or a bother, you should leave this site now. If on the other hand, you are one of the strong, smart, cutting edge business owners bent on success, then you are in the right place. You see SEO, marketing, offering value, and developing your business as what it really is...an INVESTMENT. In this day and age, the phone book seldom used to find a business. Instead, prospects are trusting Google to deliver them the best local businesses worldwide. There are Billions of search queries for local businesses daily. Google gets 70% of those queries. Yahoo and Bing get 15% each. With this in mind, marketing now has a new moniker...and that is Search Engine Marketing. So where does the effortless success come in? Effortless success in your business will happen when you are driving the traffic of your target audience from organic search results on the first page of Google. Until then, you are probably going to struggle to pay the bills and be left wondering if failure is inevitable. So you're probably beginning to think right now, "okay I don't even know what that means", or, "so how the heck do I do that?!" Herein lies the problem of why so many businesses that follow the old "pre-Google" model of developing their business. Many businesses have never "Optimized" their website. There are also many businesses who have no website to optimize at all. Surveys have shown that only 10% or less of local business owners know how to build a simple website. It gets worse...less than 1% know how to "Optimize" their website. 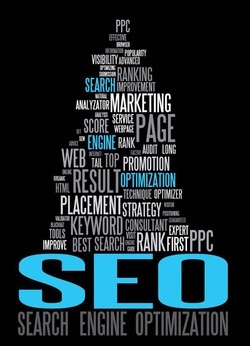 What I mean by "Optimize" is get your website to rank on the first page of google for at least 5 keywords. 2 Easy Tips To Better Rankings and More Traffic! BONUS TIP: Join Google Plus and talk about your business, share your website on Google Plus. It's Easy and it's not time consuming. You can do this by going to Google and clicking "+you".